Today’s card takes a spin on Bermuda’s 5 rear-guard condition. 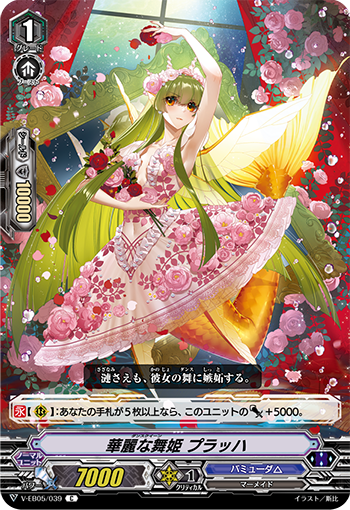 CONT (RC) If you have five or more cards in your hand, this unit gets Power+5000. Illustrations of Choco Love Heart, Liselotte in her Luxury and Super Luxury versions.